How is G‑d a king? Does He wear purple robes? Does He sit upon a golden throne? A king speaks and his word is fulfilled. 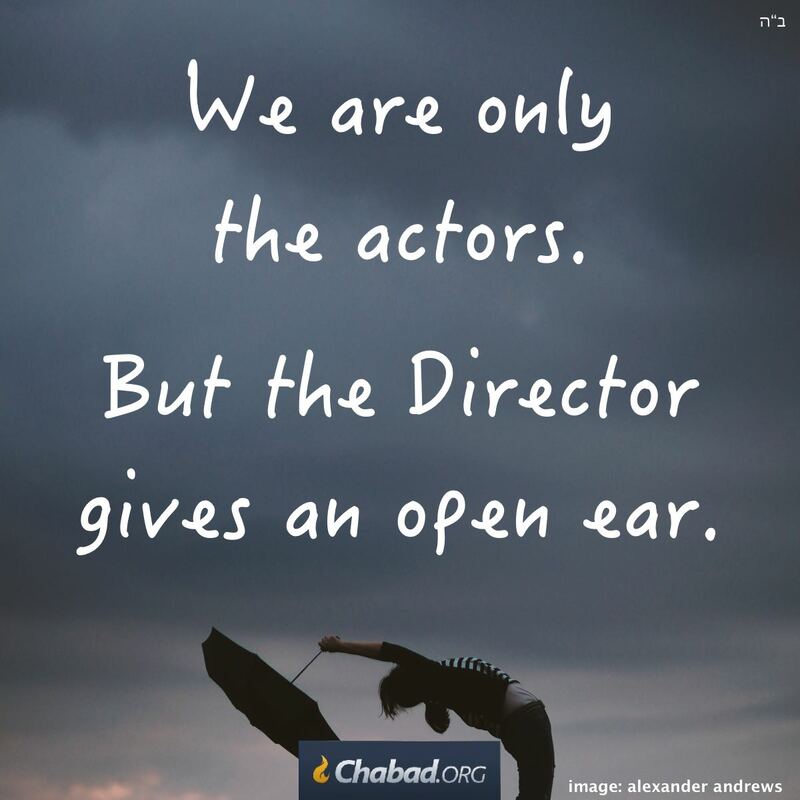 G‑d speaks and the world comes into being. He is the author and we are the characters of His story. Two Paths - Two Choices - One ending The end destination for the characters in the Story is for humanity to achieve the same quality as G_d - to evolve from egoistic actions to altruistic ones. This is His goal for us. We can choose the quicker path of working proactively and in sync with the Author's goal. why is it impossible to read other comments? at least i could learn from them?